The concern over the ill-effects of global warming has made the role of companies providing Building Information Modeling Services very important in the contemporary world as green architecture is fast becoming a norm rather than an exception. It’s not always easy for organizations like The AEC Associates offering Building Information Modeling services to adopt sustainable design concepts as long-term objectives of environment conscious design may sometimes be overshadowed by short-term cost concerns. BIM has a major role to play in this context as it facilitates energy-efficient building design through its innovative green features. We continue the discussion in this post to enumerate some more sustainable features of this new-age technology. -Parametric BIM models clearly define relationships between building elements that allows the design team to change different aspects and analyse their impact on related design and performance characteristics. Professionals providing Building Information Modeling services ensure a greater insight, easier visualization and improved analysis that results in a greater control over the entire building process including cost, sourcing and materials specification. This helps designers deliver improved energy efficiency, better indoor air quality and desired sustainable performance. BIM enables you to yield traditional design deliverables in an efficient manner and also to take decisions that help you make viable sustainable design strategies. Companies like The AEC Associates which offer Building Information Modeling services shoulder a great responsibility to save the environment through concerted efforts to produce energy efficient, environment-friendly building designs. 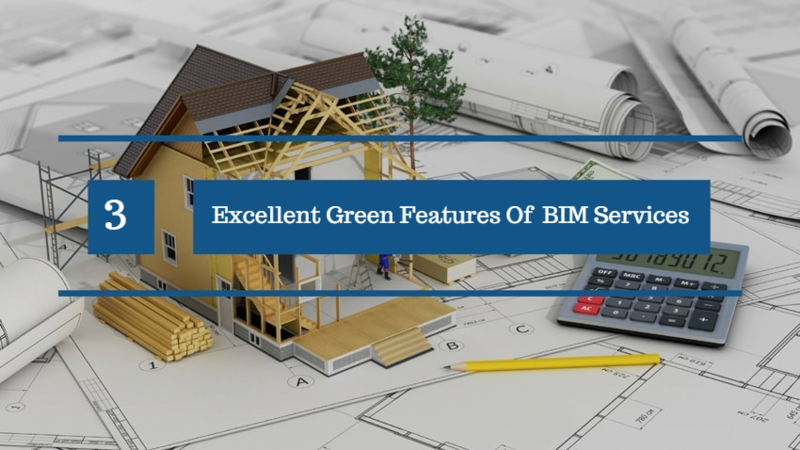 BIM includes several innovative green features that help designers go for sustainable options without escalating the cost of construction- a perfect solution.